The changes in the Google algorithm over the last several years have shifted results to be more local. This is typically a great benefit to the person searching locally, but can be difficult for clients with businesses located, technically, in cities with names that are different than the hub city near them. For example, if you serve Miami, but your business is in Aventura, Florida, it becomes very difficult to rank well for Miami terms like "best doctor Miami" or "Miami's finest steakhouse." Ranking for Houston if your office is in Katy or Pearland, in Los Angeles if your business is in Malibu, and for Chicago if your business is in Highland Park, is quite simply nerve racking. 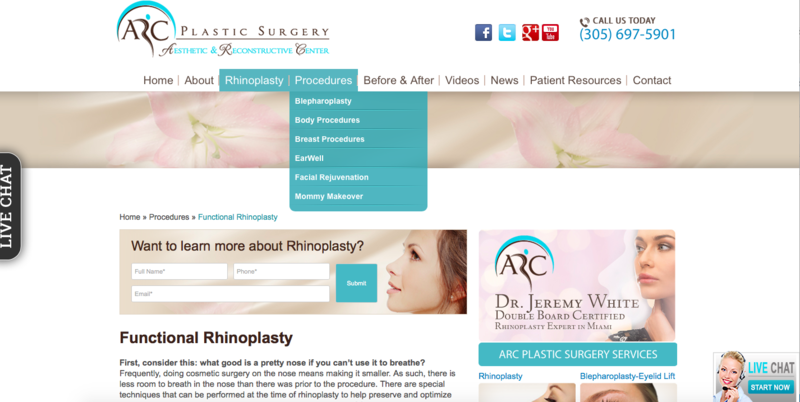 In this case study we work with a doctor in Aventura to both guide the creation of a world-class website showcasing his vast talent despite limited years of experience, as well show our ability to get rankings and covert leads and grow visitor counts beyond the low-search-volume terms that ranking for the Aventura area alone would provide. All of the trappings of an SEOversite strategy are present here. 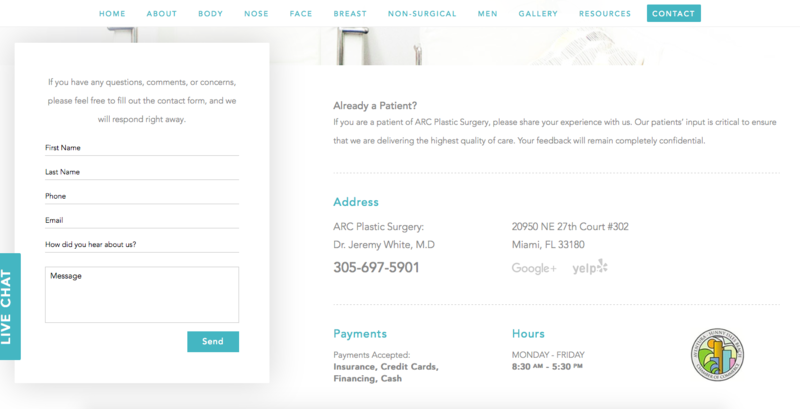 These include showcasing the doctor with professional photography, outlining accolades right away to meet the "10:30" rule stating we have just 10 seconds to capture a patient to stay on-page and then 30 more for them to be "pre-sold" on the business, proper calls to action throughout the page, and sleek, modern design that is easy to search and navigate in an intuitive manner. 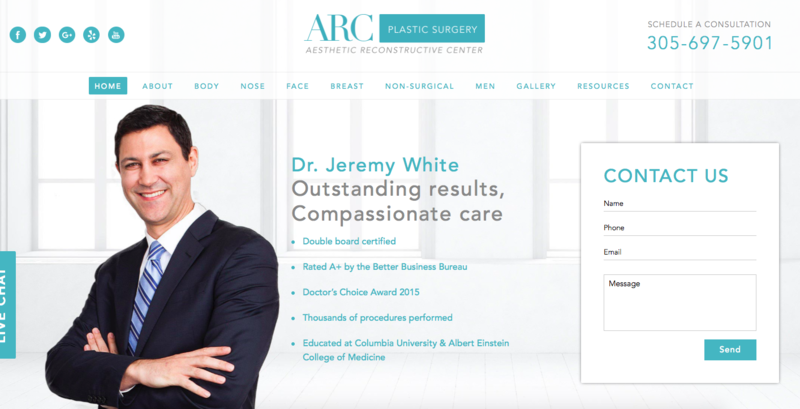 Drop down menus that are easy to read and navigate improve the user experience while keeping the light blue and beige color scheme that fits with Dr. White's pre-existing logos and branding. Calls to action abound per usual with any SEOvesite website. 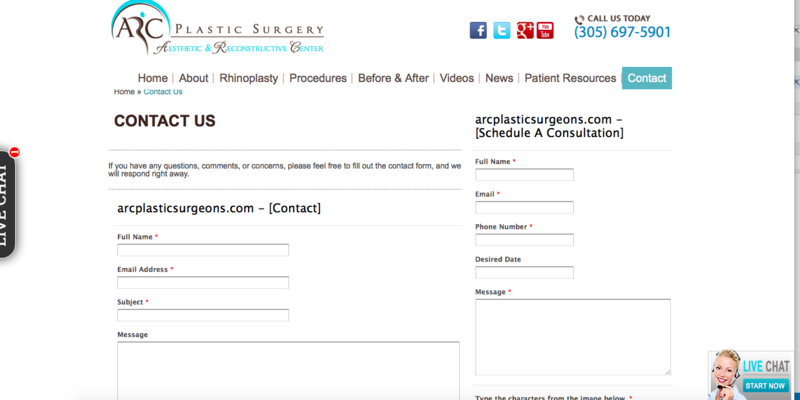 This is the prior website with wonky issues like the contact form showing up twice on the same screen - this kills conversion rates! Here is the new contact form which is sleek, inviting, simple and offers a variety of contact methods, greatly increasing conversion.